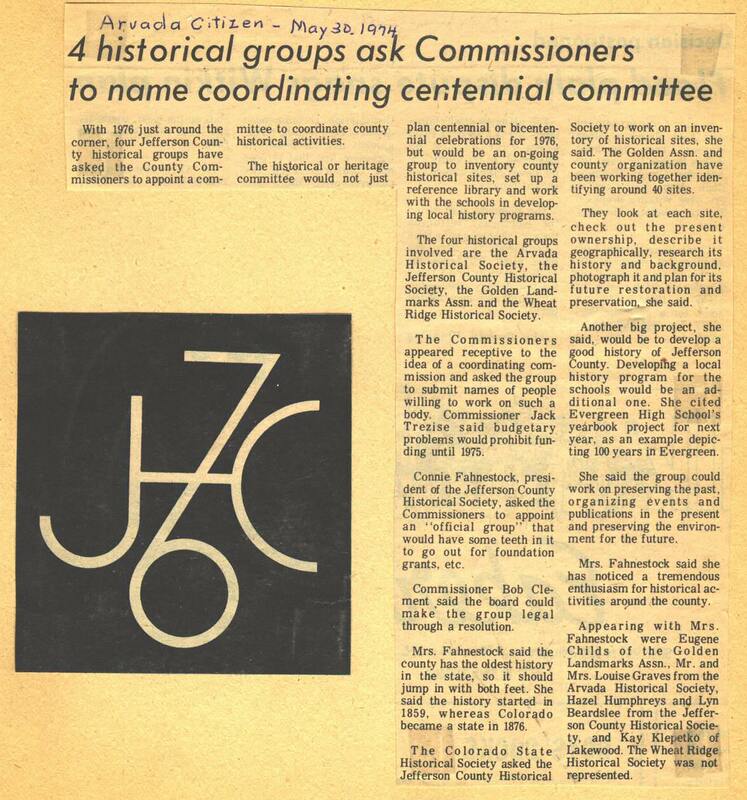 Having the Sesquicentennial celebration on our task list has us thinking, quite naturally, of why and how the Historical Commission was started in the first place. In fact, it was another major celebration that brought this group into being. In 1974, historically minded people everywhere were beginning to plan how to celebrate the nation’s bicentennial, as well as Colorado’s grand 100-year birthday. Several historical societies came together to ask the County Commissioners to appoint a committee to oversee the festivities. Click the image to read the details.